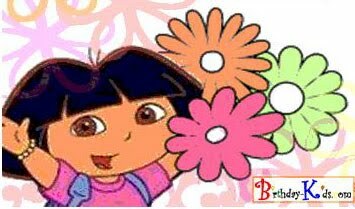 Not having kids I had never heard of Dora the Explorer until a friend's kid mentioned her and is obsessed with her. Wow! If I show this post to my daughter I know what she will ask for her next birthday party. Dora the explorer is such a fun theme for the perfect girl! Birthday party and it's time to start planning! put an idea board of what you would like to do! I think so many of us are looking for party ideas! She would be loved by everyone, I too, always see her TV show episodes, love to see she is also speaks in Spanish. Thanks for sharing these ideas. I myself is working for an event management company in Dubai. I loved the ideas shared by you.